WePower is a perfect representation of the startup which uses Blockchain-based technological solution for green energy trading. So we decided to talk to WePower team to learn more about them and bring their innovative ideas to you. So what is WePower? How does it work? WePower is a technology company that fuels renewable energy production by enabling developers to raise capital by selling their energy production upfront in the form of tradable Smart Energy Contracts. At present, some of the agreements necessary to unlock financing for new renewable energy projects – from Power Purchase Agreements (PPAs) to so-called Firming Contracts – can take decades to be settled. And they are available only to large corporates with the ability to buy 100% of the power generated by a given project. WePower blockchain-based platform, however, enables project developers to become bankable and obtain necessary capital by selling their future energy production directly to an aggregated group of the energy consumers or investors up front. People might consider Power Ledger or Sun Contract as our competitors, however, the focus areas and go-to-market approaches of these two projects are rather different from us. WePower is focused on becoming the go-to energy procurement platform that will create an opportunity for green energy project developers to sell energy directly to the buyers and become bankable projects. The financing service planned by Power Ledger, on the other hand, is based on equity-financing, which is a very different financial instrument and carries most of the same problems as the energy financing solutions currently offered in the market. Our blockchain application and token model is also different from Power Ledger and Sun Contract. WePower’s token (WPR) is an incentive ecosystem with clear values built in for all participating parties – green energy developers, energy buyers and token holders. WePower comes to the market at a crucial time. Due to a drop in subsidies and increased renewable energy development competing at market price, banks started increasing demand for own capital (decreasing debt to capital ratio). It moved from 80:20 to close to 50:50 ratio for newly developed renewable energy projects. Equity capital became a limited source of financing contributing to a plunge of -23% YoY in investment due to smaller leverages. Moreover, the institutional investors requested developers to provide offtake agreements with energy buyers in order to de-risk their investments. We connect developers and buyers to solve these problems and provide an opportunity for the energy buyers to hedge the electricity price. WePower company was established in Lithuania on January 25th in 2017. We just launched renewable energy financing and trading platform alpha V1 on July 5th this year which can be found here – https://platform.wepower.network/auctions. We are planning to do first renewable energy auctions on our platform by the end of 2018. We are bringing technology to the market dominated by old energy companies. The main challenge for us is to simplify a complicated energy procurement process. We are going to show that energy procurement process can be easy, fun and beneficial both for the energy buyer and our planet. WePower’s main target customers are corporate energy buyers and energy traders. However, later we plan to offer our services to the retail customers. Our target countries right now are Australia and Spain. Nonetheless, we plan immediate expansion after opening the latter markets. We are overcoming these challenges by having top experts in our team and constantly validating everything with our partners and advisors who are well-known globally: Peter H Diamandis (Xprize and Singularity University), Maja Vujinovic (ex-head of innovation at General Electric), You (Ricky) Li (Ex-CME energy derivative product manager and Altonomy co-founder), Trevor Townsend (head of SBC Energy program). We already have partnerships with major energy companies, like EnergyAustralia, Conquista Solar, Elering and GreenEnesys. WePower ran a token sale in February this year raising 40 million USD from the 22,933 contributors in just mere minutes, making it one of the most demanded blockchain projects of the year. During its presale, WePower raised $30 million, $11 million of which came from a public presale round in October of 2017 and $19 million from strategic investors and funds. Some of the committed partners and investors from the presale include Galaxy Investment Partners, DNA Fund, BlockchainIL, LDJ Capital, Science, OGroup / Kryptsu, PrimeBlock Capital, AlgoLedge, Connect Capital, Everblue Capital etc. With a background in international renewable energy development from plant construction to energy sales through independent energy suppliers. Nikolaj is responsible for overall strategy and business development. He is also one of the founding partners of Smart Energy Fund. With a background in regulation and Fintech. For the past 5 years, he led a team of lawyers, responsible for all FinTech, blockchain, and cryptocurrency related businesses and regulation at one of the biggest law firm in the Baltics. 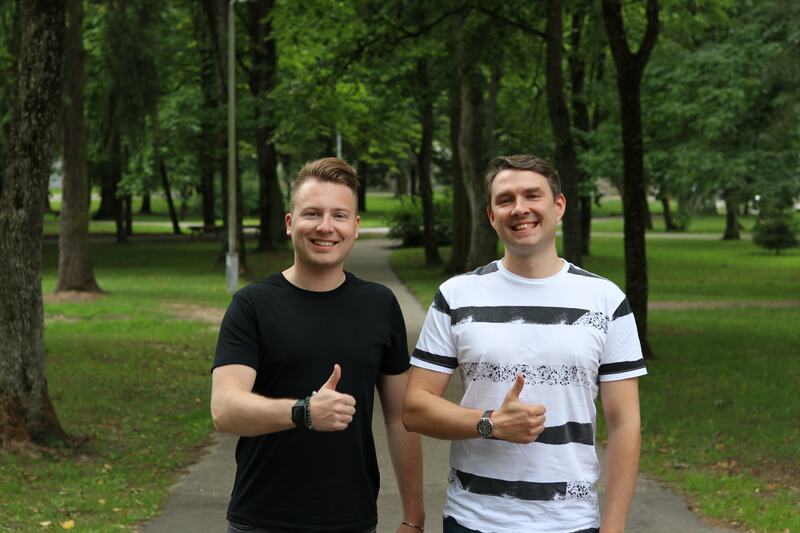 He is also the former Chairman of the Lithuanian Fintech Association and twice recognized as a Lithuanian Crowdfunding Patron by the EU Commission. Kaspar previously was the CTO of a large National DSO, and has worked on the green energy integration and Smart Grids challenge from different angles for 7 years. He was responsible for development and execution of the DSO strategic plan, and their Smart Grid technology roadmap as well as the management of the overall Information Technology and Operational Technology enterprise architecture. Kaspar is a well-known speaker at European conferences regarding energy systems digitalization, specializing in building and implementing big data analytics systems and smart meters. WePower has an international world-class team with experts in many industries, from complex IT infrastructures to energy trading, legal and compliance as well as digital marketing. Check out our team here. Today we have offices in Vilnius, Tallinn, Madrid and Melbourne and with the company growing so fast, the expected headcount by the end of the year is approximately 50 people. We had more than 290K registered token buyers, 83K buyers went through a full KYC process. 23K users participated in the token sale. WePower has a very strong community with literally hundreds of thousands supporting the project. You can check out our Telegram community that has almost 50 000 members at https://t.me/WePowerNetwork. Recently launched Alpha version of the platform has few thousands of registered users. Short-term: in August, we will focus on growing an even stronger position in the Australian energy market that is in desperate need of a solution like WePower. We will also continue with the ongoing developments on the platform and hire new people, to be well prepared for the fall when our business is set to go live in full speed with energy auctions and trading. Want to join us on this crazy ride? Check out the job openings. We wouldn’t want to disclose our long-term vision just yet. Some hints of it can be found in our ICO white paper and we definitely can say that our vision involves revolutionizing the energy industry and giving power back to the people.